The increasing cost of living, health and congestion are having a very real impact on the people of NSW. Population growth, urbanisation and new technologies are rapidly changing the accessibility and connectivity of our communities. Cities around the world with an eye on future growth and liveability are enthusiastically responding to these challenges by moving away from a dependence on cars and investing in efficient, sustainable and affordable active transport. NSW has reached the point where critical decisions must be made — otherwise the state’s global brand, standard of living, transport network and economy are all at stake. However, bike riding faces road blocks at every turn. 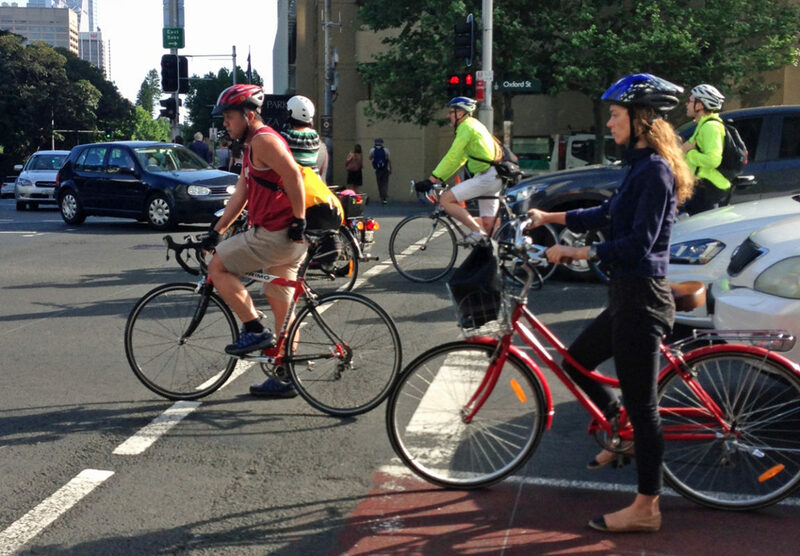 NSW continues to have the lowest bike riding numbers in Australia. 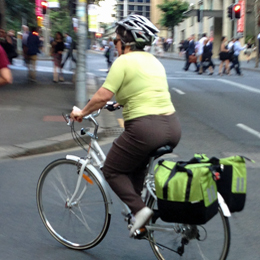 At the same time, less than one per cent of the NSW transport budget is allocated to active transport. We need a government that’s progressive enough to invest in active transport and recreation that saves, improves and lengthens lives. 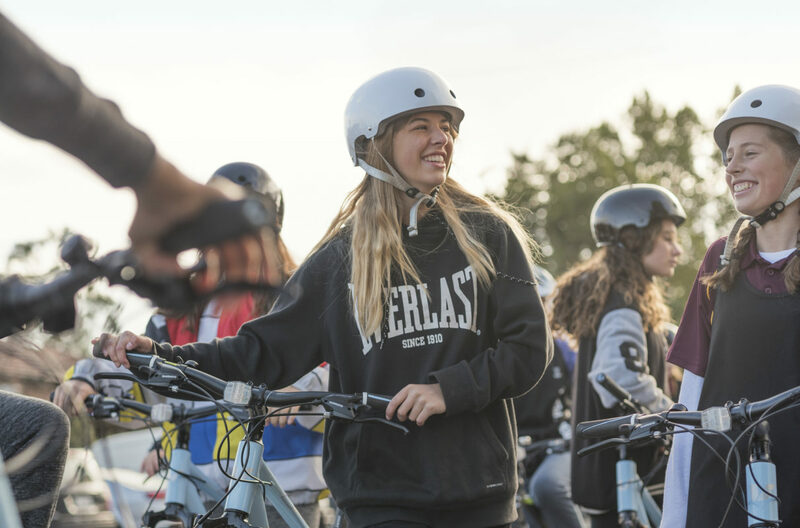 Making it easier for more people of all ages, genders and backgrounds to ride a bike for transport is one of the best ways to build physical activity into our daily lives, unclog public transport and free up our roads. This election will be a watershed moment. Momentum is building for change. The people of NSW are looking for a government that is willing to make the bold decisions that deliver the biggest gains and the answer to today’s challenges isn’t in organised sport or low-co-ordination, vaguely-justified roads and rail. 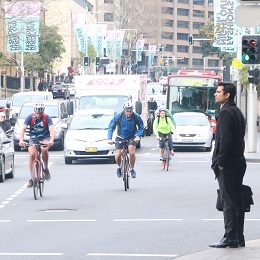 The people of NSW want to ride bikes and will back a government that promises to unlock the potential of our transport system with active travel and get NSW moving towards health and happiness, rather than a government that is afraid of the loud minority who incorrectly see bike riders as slowing them down. 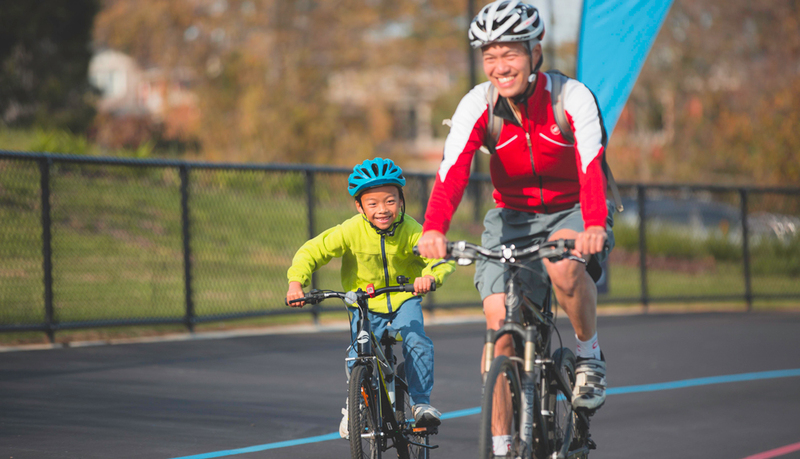 Now’s the time to commit to making it easier for more people, of any age or ability, to ride bikes for their own health and happiness and the liveability of the entire community. Invest in an ongoing annual bike infrastructure fund of $238 million+ (roughly $30 per head of population). Accelerate the delivery of cycling infrastructure and related plans set out in the Future Transport Strategy from 2056 to 2026. Commit to positive provisioning for all state-owned road projects, non-road transport projects and maintenance regimes. Reduce speeds on local streets or in built up environments to 30km/h. Amend legislation to remove barriers to rail trails and establish an annual Rail Trail Fund to support development and construction. 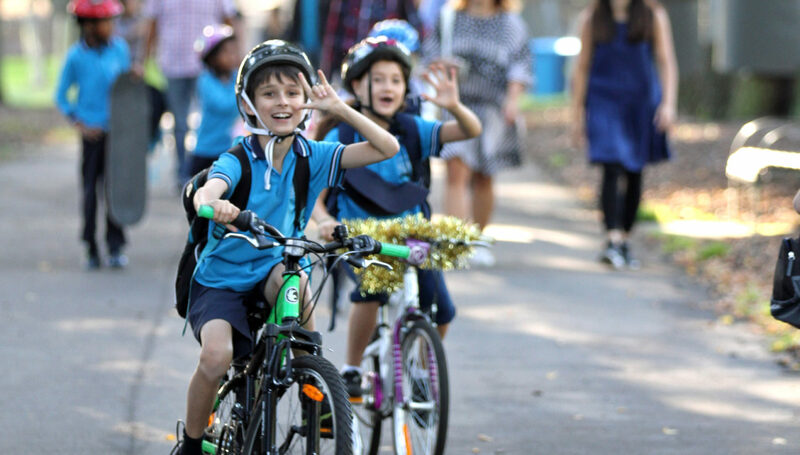 Fund Bicycle Network’s flagship behaviour change program Ride2School by investing $4.5 million over four years. Every station needs a local bike network and secure bike parking. Relax MHL with a five-year trial permitting people over the age of 17 to ride on footpaths and cycle paths/trails without a helmet. Invest in a close-pass enforcement program that includes the establishment of a special policing unit. Learn more here. Remove the age limit and allow people of any age to ride on the footpath. Bike policy should not be hard or complicated. Parties of all ideologies can make a massive difference for people who ride. And if you haven’t seen it yet, make sure you check out our NSW Budget submission 2019-20. 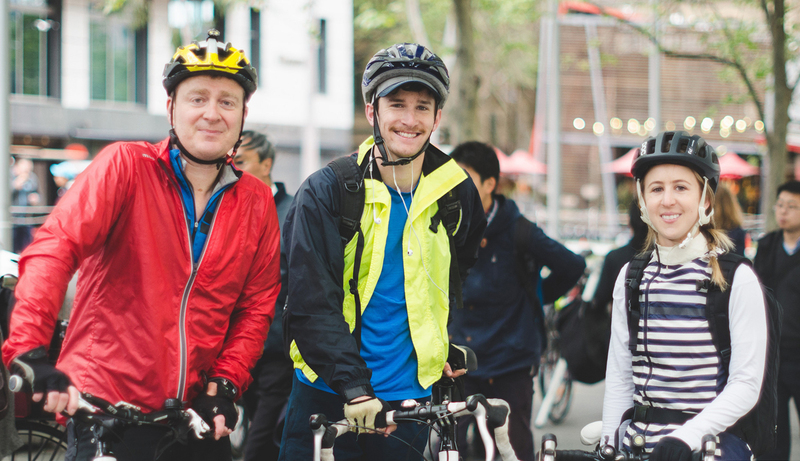 In the lead up to the election, we’ll update this page with the commitments made by major parties that are relevant or directly impact people who ride. If we’ve missed one, please let us know via email: campaigns@bicyclenetwork.com.au. Double funding of active transport to $330 million over 5 years and spend another $285 million on paths through infrastructure projects such as the South West Metro. 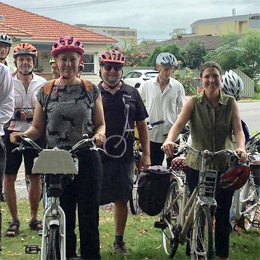 Review local council Development Control Programs to deliver more bike parking and end-of-trip facilities near public transport hubs. See The Greens position, principles and aims when it comes to Active Transport points 53-59. Main street makeovers – Make Sydney Road a best practice example of main street recovery and show the way for future transformations. Strategic Cycling Corridors – Accelerate the roll out of Strategic Cycling Corridors with prioritised planning, design and delivery program. Low speed local neighbourhoods – Introduce a state-wide program whereby communities can apply for funding packages for liveable neighbourhood. Regional trails and tourism – In this term, complete the Daylesford to Macedon, and Yarra Ranges trails. And proceed with the 12 Apostles Trail. Health circuits in Rural Victoria – Introduce a health circuits program to boost physical activity in rural and peri-urban areas. 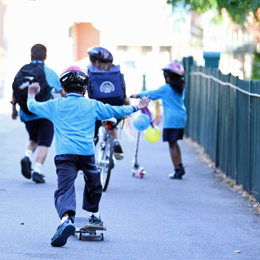 Support Ride2School – Fund Bicycle Network’s flagship behaviour change program Ride2School over the next four years. Station access and bike parking – Every station needs a local bike network and secure bike parking (Parkiteer cages). End of trip facilities review – Review planning provisions for end of trip facilities. 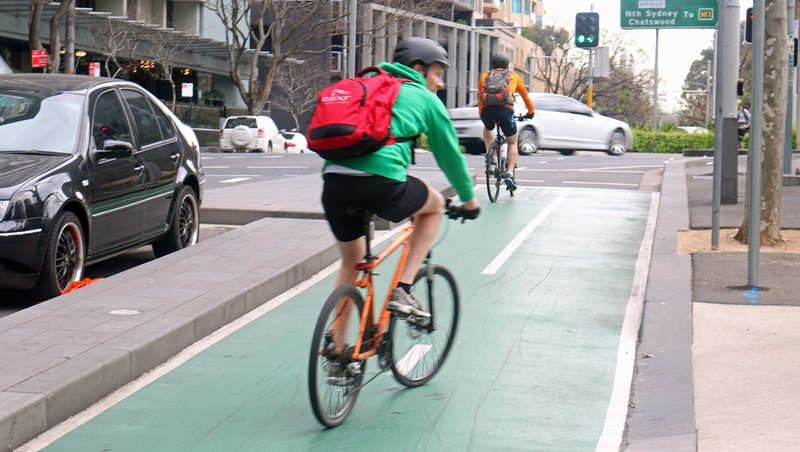 Introduce policies that make it easier and safer to ride –Introduce minimum passing distance law and allow footpath riding in Victoria. 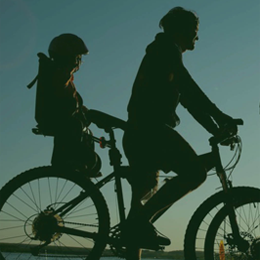 Active Transport Victoria (ATV) – Renew, refresh and empower ATV to obtain greater contribution from across government towards active transport. 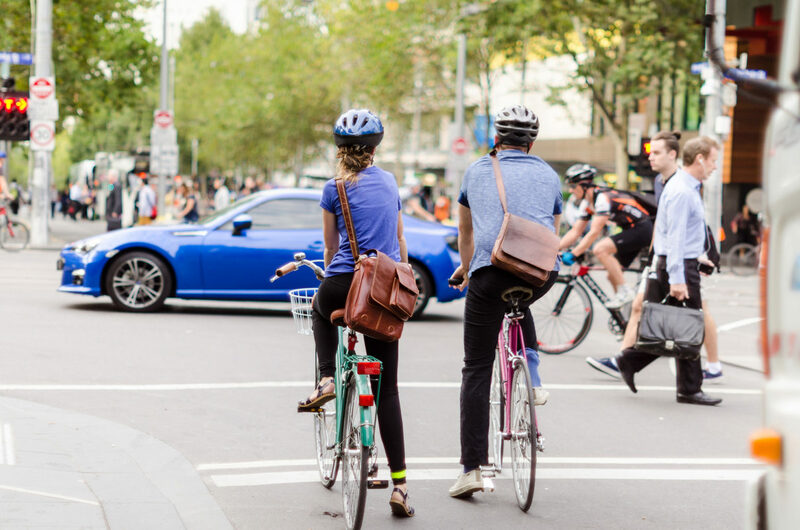 Boost Safe System Investment for bike riders – TAC and VicRoads launch a separate Safe System program to address bike safety. Governments of all political ideologies can make real change for people who ride. NSW Labor has announced that if elected in March, they will commit $7 million to make it easier for more children to ride to school. We know that collective action makes a difference. This election make sure the voice of bike riders are heard. Reach out to your local members and make sure they don’t forget about bikes. Share our election campaign on social.